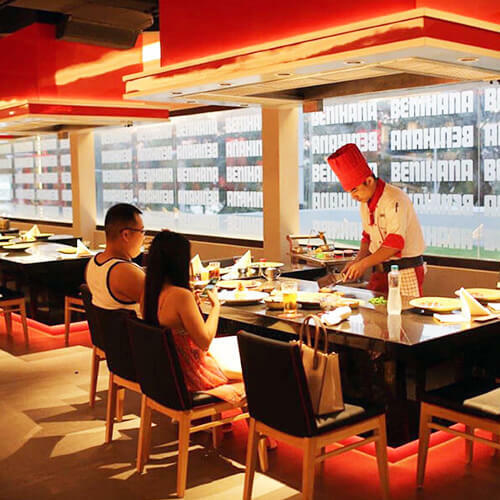 Benihana is a leading Japanese-inspired teppanyaki restaurant chain with headquarter in the UK established in 1964. 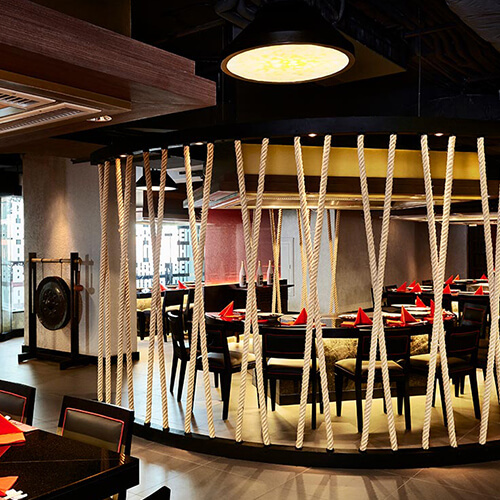 Benihana pioneered the communal dining concept, combining dazzling performance and teppanyaki cooking of freshest ingredients in front of diners. 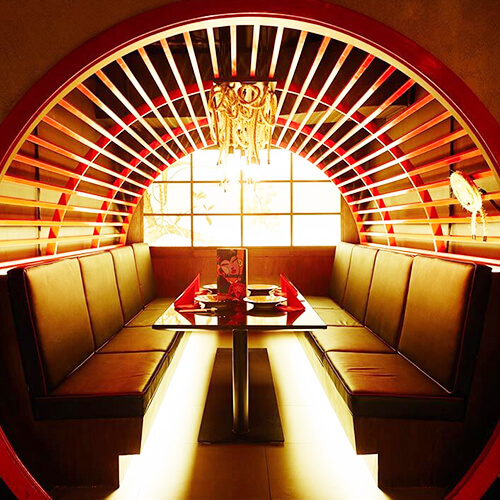 Dining at Benihana is unlike any other dining experience. 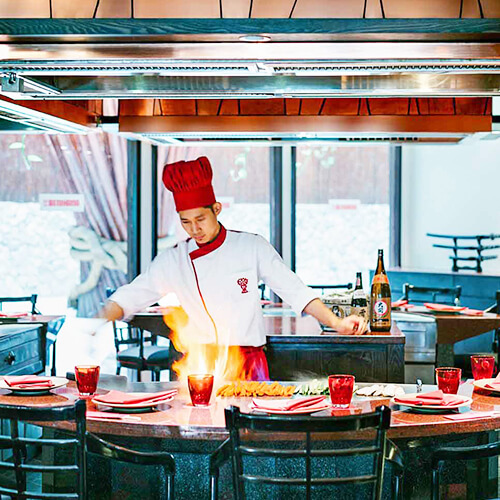 At Benihana, diners watch as their personal chef performs the ancient art of Teppanyaki, listen razor-sharp blades slice through tender, juicy meats, while taking in the savory aroma of sizzling meals meticulously prepared right in front of them. 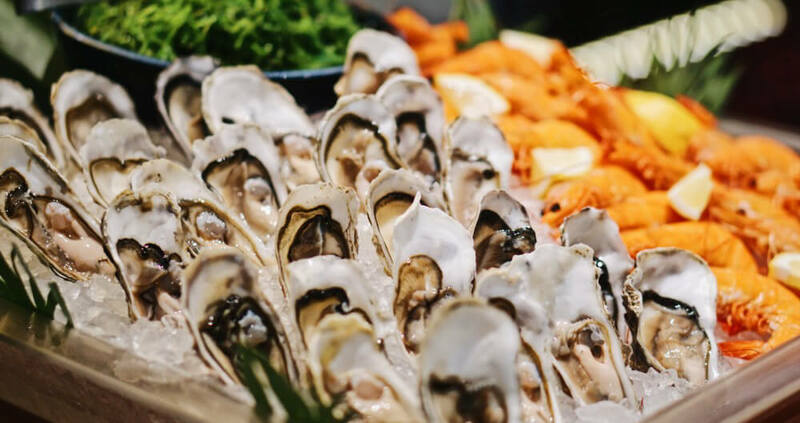 In 2018, Minor purchased a 75% stake in Benihana Holdings Pte. 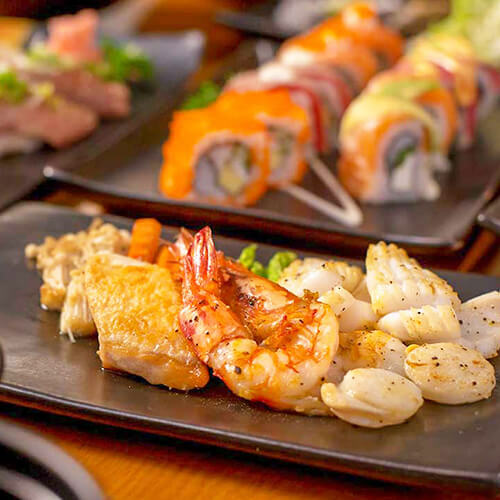 Ltd., bringing 19 Benihana restaurants in 12 countries across Europe, Asia, Middle East and North America into Minor Food's ever-expanding network. 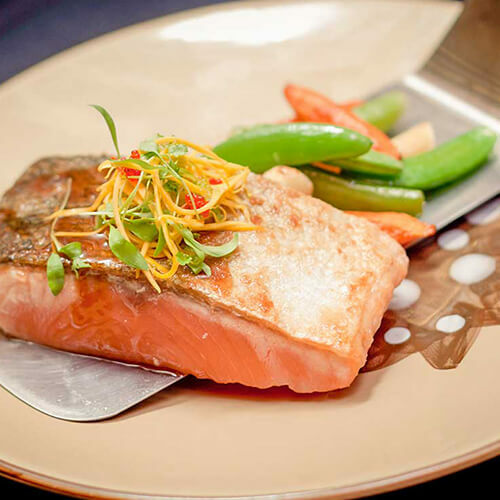 A meal at Benihana is unlike any other dining experience. 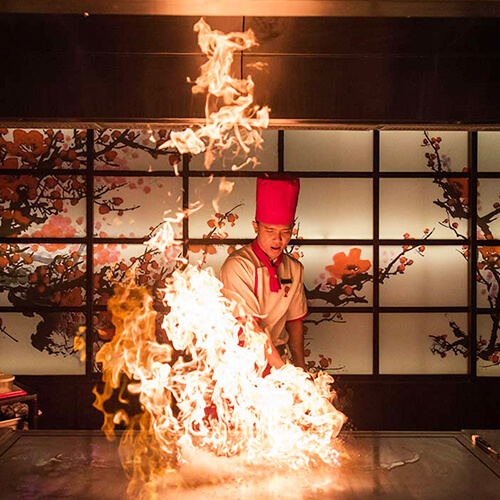 At Benihana, you watch as your personal chef performs the ancient art of Teppanyaki. You listen as razor-sharp blades slice through tender steak and juicy chicken. You take in the aroma of sizzpling shrimp, lobster and savory vegetables, all prepared right at your table. As recognisable as any American brand icon, the Benihana Teppanyaki Master symbolises skill, entertainment and culinary excellence. 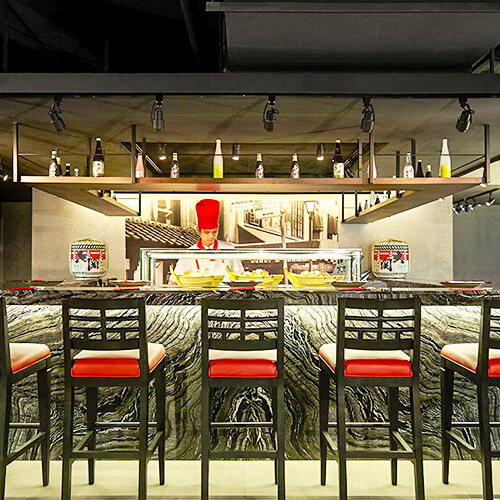 No other brand icon has a more personal connection with its customers than Benihana’s Teppanyaki Master. He is an entertainer, a chef, a salesperson, and a marketing guru all at once, and he’s speaking to every single customer we have. All of this combined has made Benihana a tradition for generations of American diners. 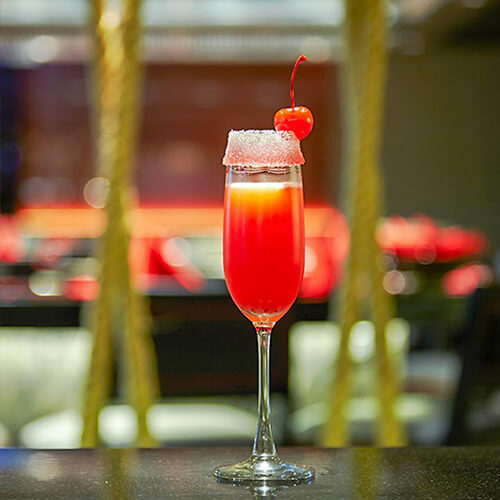 No longer a restaurant, a chain, a concept, Benihana is an American institution where strangers become friends, meals become celebrations, and celebrations become cherished memories.